It is interesting to note that Dr. Schaeffer may have been the first to write in-depth about post-Christian culture. It is important to understand Schaeffer’s view on culture in order to understand his position on the church in these perilous times. Postmodernism essentially posits the view that there is nobody in the universe. There is “nobody to love man, nobody to comfort him, even while he seeks desperately to find comfort in the limited, finite, horizontal relationships to life (Death In The City, 215). The result is that “God has turned away in judgment as our generation turned away from Him, and He is allowing cause and effect to take its course in history” (Death In The City, 216). A rejection of the doctrine of creation. A rejection of total depravity. Sees human nature as part of a long, unfolding process of development in which everything is changing. Casts around for some solution to the problem of despair that this determinist-evolutionist vision induces. Can only find a solution in the activity of the human will. Therefore, encourages manipulation of nature and tinkering with people (Whatever Happened To The Human Race, 288). Humanism in a nutshell. This is what the church must contend with. She cannot isolate herself or flee the surrounding culture. Rather she must face it head on or lose any chance of influencing the culture for the sake of the kingdom. Despite the degradation of the culture, Schaeffer believes there is hope for the Christian church. But if the church is to truly thrive, not merely survive, she must boldly proclaim and defend at least seven foundational truths including the inspiration and inerrancy of the Bible, the deity of Christ and His Virgin Birth, the substitutionary atonement of Christ’s death, the literal resurrection of Christ from the dead, and the literal return of Christ (The Great Evangelical Disaster, 350). Schaeffer helps clarify the Christian perspective on postmodernism. First, he notes that much to the chagrin of many evangelicals, our culture and country is under the wrath of God. The net effect should not be alarming. Man has forgotten his purpose and consequently forgets the meaning of life. 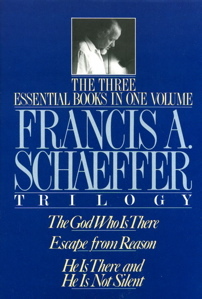 Second, Schaeffer helps Christians understand that turning away from the truth of God not only results in decay but ends ultimately in death. There will be death in the city until people turn to the truth . . . This must be our perspective [emphasis added], for only as men turn back to the One who can really fulfill, return to His revelation, and reaffirm the possibility of having a relationship with Him as He has provided the way through Jesus Christ, can they have the sufficient comfort which every man longs for (Death In The City, 222, 224). First, he warns the church to guard against using worldly methods. If the church chooses to engage in “worldly” ministry the already cynical post-modern generation will surely reject the organized church. Rather, the church must stand strong in this age and boldly proclaim the mysteries of God. “Our generation needs to be told that man cannot disregard God, that a culture like ours has had such light and then has deliberately turned away stands under God’s judgment. There’s only one kind of preaching that will do in a generation like ours – preaching which includes the preaching of the judgment of God” (Death In The City, 232-233). Second, he alerts Christians to the danger of compromising the truth. “Here is the great evangelical disaster – the failure of the evangelical world to stand for truth as truth. There is only one word for this – namely accommodation; the evangelical church has accommodated to the spirit of the age” (The Great Evangelical Disaster, 320). Given Dr. Schaeffer’s scathing indictment of the church, it should come as no surprise that his greatest challenge concerns not only believing the truth but standing for the truth. He recognizes the potential risks involved in this endeavor. He writes, “We must realize that to know the truth and to practice it will be costly . . . We must keep on speaking and acting even if the price is high” (Death In The City, 254). Second, Schaeffer calls Christians to infiltrate the culture for God rather than being molded and corrupted by it. “As evangelicals, we need to stand at the point of the call not to be infiltrated by this ever-shifting fallen culture which surrounds us, but rather judging that culture upon the basis of the Bible” (The Great Evangelical Disaster, 340). Schaeffer holds that Christians should penetrate the culture and engage the political arena, the justice system, the media and the arts just to name a few.